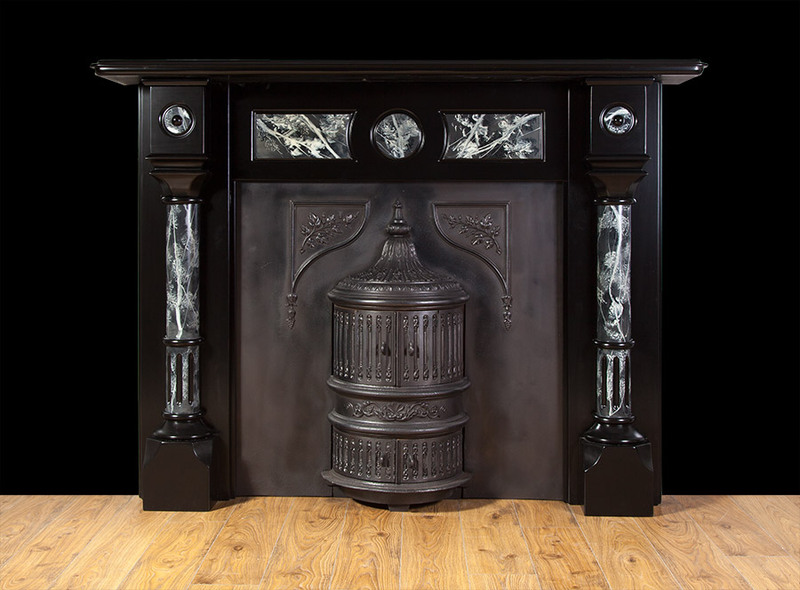 The background colour of the fireplace is jet black, the engaged columns and frieze panels are marbleized with various shades of grey. Salvaged from a Belfast property and fully restored for use. 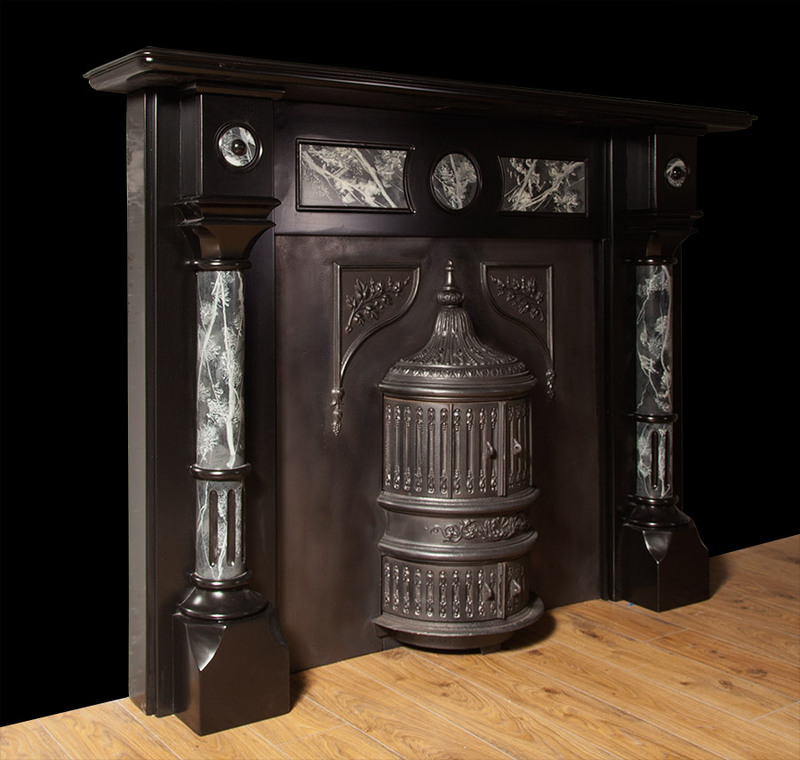 Can be supplied with a choice of period cast iron inserts.